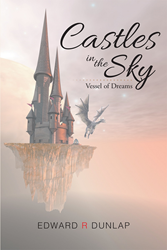 Recent release “Castles in the Sky Vessel of Dreams” from Page Publishing author Edward R. Dunlap is both intriguing and entertaining; this work delves into the ideas of fantasy, dreams, friendship and courage. Edward R. Dunlap, a cook, fisherman, outdoors enthusiast, devoted writer and author, has completed his newest work “Castles in the Sky Vessel of Dreams”: a gripping and unique work of personal triumph and acceptance. Published by New York City-based Page Publishing, Edward R. Dunlap’s imaginative tale is the perfect read for any science fiction fan! A young boy falls asleep and dreams he is in a castle in the sky where he dreams again and encounters magical creatures that are both friend and foe. He will have to use his wits to navigate the unforeseen situations using only his trusty staff, magical friend, and other friendly creatures. Readers who wish to experience this mesmerizing work can purchase “Castles in the Sky Vessel of Dreams” at bookstores everywhere, or online at the Apple iTunes store, Amazon, Google Play or Barnes and Noble.